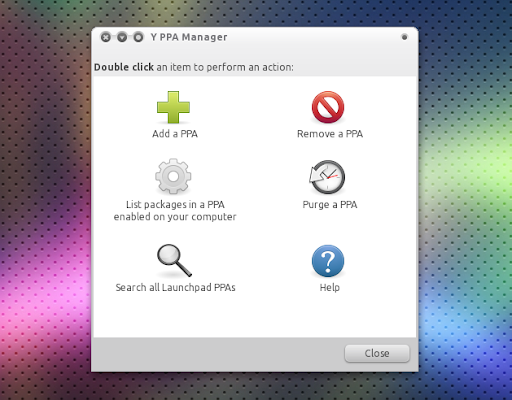 Today I've released a new Y PPA Manager version that adds a new feature: deep search. 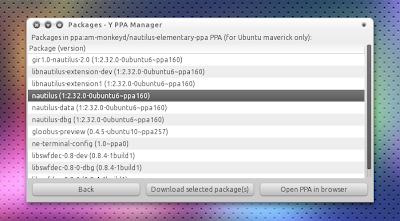 The regular Y PPA Manager search displays all the PPAs that the Launchpad search returns for the word you search for - that includes PPAs that don't have packages for your Ubuntu version, PPAs that only have the searched keyword in the description as well as PPAs in which that package was available but it has been removed recently. Please note that the "deep search", just like the regular search makes use of the Launchpad PPA search so if Launchpad doesn't find a certain PPA, Y PPA Manager won't list it either. There's nothing I can do about this. Because of the way the "deep search" works, it takes more then a regular search to complete so you may still use the regular search for quicker results. Also, you must enter the exact package name when using the "deep search" feature. But of course, the results will be more accurate and it's a lot easier to see the version (no extra clicks required) using the deep search. Oh, there's one more feature I've implemented a while back but I forgot to tell you about it: when adding a PPA using Y PPA Manager, the GPG key is imported on port 80 so if you're behind a firewall you won't get GPG key errors anymore (this only works for the new PPAs you add - for the already added PPAs, use Lauchpad Getkeys)! For more info on Y PPA Manager, see THIS post and the Y PPA Manager Launchpad page. A video with Y PPA Manager is available in THIS post.